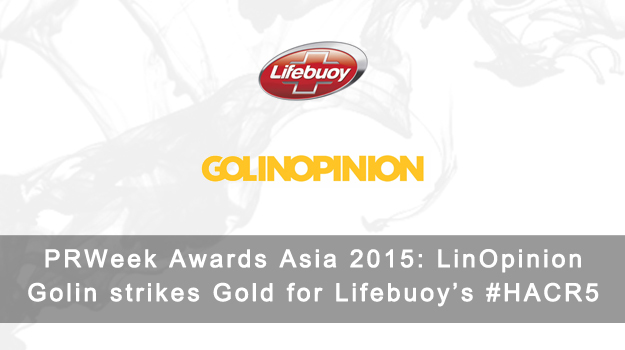 LinOpinion Golin bagged two Golds at the PR Week Awards Asia 2015, one of which was in a pan-Asia category of Public Education Campaign of the Year and the other in South Asia PR Campaign of the Year. Both the Gold awards were for its work for HUL (Lifebuoy), ‘Help a child reach 5’. The entry was also awarded a Silver in the Corporate Social Responsibility Campaign of the Year category. Winners across categories were announced at a gala on 18 June 2015. Edelman India won Silver for ‘DO THE REX: Durex overcomes sexual paradox in India’. The win was in the category of ‘Arts, Entertainment & Media Campaign of the Year’. The agency won another Silver for the same entry in the category Best Use of Broadcast / Video. In Business-to-Business Campaign of the Year category, 20:20 MSL won a Bronze for its entry ‘CeBIT India, from ‘just a trade fair’ to ‘technology intelligentsia’, for Hannover Milano Fairs India. Under the category Employee Communications Campaign of the Year, Viacom18 Media won a Bronze for its entry ‘Evolving at Viacom18’. Adfactors PR won Bronze in the Financial Communications Campaign of the Year category for its entry ‘BSE: From mind-share to market-share’ for the Bombay Stock Exchange. The agency also won a Bronze in the Media Relations Campaign of the Year category, for work on State Bank of India titled ‘Banking giant SBI wins over Indian millennials’.